Tanzania has an area of about 945,000 km2,in which 346,337 (36.7%) covered by water. 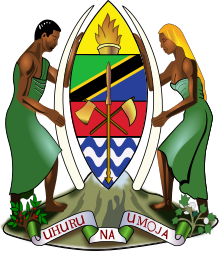 Tanzania Fisheries Research Institute (TAFIRI) was established under Act of Parliament No. 6 of February 1980 but started operating as an independent institution in 1983. Mandated to conduct high quality and affordable research in any part of territorial waters of Tanzania and ensure that the findings are disseminated to target groups. Welcome to Dar es Salaam Center to share ideas with the entire research team and supporting staffs. The Center supports Marine research that first clarifies, and then finds ways to mitigate the impacts of fisheries on aquatic ecosystems. With such insight on how the aquatic ecosystems functions, can formulate management policies aiming to reconcile the exploitation of living resources for food, conservation of biodiversity, maintenance of ecosystem services, amenity and other multiple uses of aquatic ecosystems. Again, welcome to TAFIRI Dar es Salaam Center, where like the waters of the sea, fish themselves are the common property of all the people of the earth. We are grateful to welcome you all to TAFIRI Sota substation which is currently located at Kabwana area within suburbs of Shirati town in Rorya District of Mara region. TAFIRI Sota is a solely sub-station of TAFIRI and it is affiliated to TAFIRI Mwanza centre. Lake Nyasa is noted for being the site of evolutionary radiations among several groups of animals, most notably cichlid fish. In total there are about 1,000 cichlid species in Lake Nyasa and the vast majority are endemic. Many of these have become popular among aquarium owners due to their bright colors. Human activities (such as illegal fishing methods/gears, poor agricultural practices, mining, deforestation, biomass burning) and natural processes have an impact on sustainability of aquatic ecosystems. Therefore, research is needed to understand their current status, and how human activities and natural processes may affect ecosystem components, structure and functioning in the future in order to devise mitigation measures. I would like to welcome you to Kigoma to work with us in the greater goal of managing and conserving lake Tanganyika. The Centre has a very nice and spacious laboratory which is installed with state-of-the-art equipment. We have and are capable to analyze water quality parameters (nutrients, and other variables), phytoplankton and zooplankton, heavy metal analysis with the Atomic Absorption Spectrophotometer (AAS). We have fibre boats with inboard and outboard engines for use on the lake for sampling. The Centre has very capable and compete staff to help and work with you all the way. Once again Karibu to TAFIRI Kigoma and witness and feel the beauty of Lake Tanganyika and its biodiversity. Safeguarding the health of our environment,social, biological,technological and economic fabric of our communities,by developing policy plans and technologies that enhance the human experience while mitigating the adverse effects of a changing fishery world. Given our strategic research priorities and geographic location, our research community is uniquely situated to lead the way in the studies of Great Lakes; Oceanic, Fisheries and Aquaculture: Understanding borders; viable and safe communities; and sustainable fishery industry. We are committed to undertake research with highly qualified personnel. By collaborating with global fishery institutions, government and other stakeholders, we are making significant improvements to fundamental knowledge and understanding in these fields. SOLSTICE-WIO is a four-year collaborative project funded by the UK Global Challenges Research Fund (GCRF). Launched in October 2017, it brings together local knowledge and international research expertise to address challenges facing the Western Indian Ocean (WIO) region in a cost-effective way. Information on the stock status of the octopus fishery in marine waters of Mainland Tanzania is not sufficient specifically their abundance and distribution. Data on these aspects and those on population dynamics are crucial for Implementation of Octopus Fisheries Management Plan (OFMP) as ..
Development is on progress, All the modules has already incorporated. Insert Data Module is Completed on APP and Portal ,The Setting Module is Also ready on APP and Module, The module for Reporting, Summary and Statistics which are developed, and training will start on 2019. Information on the stock status of the octopus fishery in marine waters of Mainland Tanzania is not sufficient specifically their abundance and distribution. Data on these aspects and those on population dynamics are crucial for Implementation of Octopus Fisheries Management Plan (OFMP) as well MSC certification of Tanzania Mainland Octopus. The number of fishers using spears and other methods on shallow reefs and in deeper waters. Qualitatively assess the likely impact of fishers damaging coral reefs through their fishing methods. 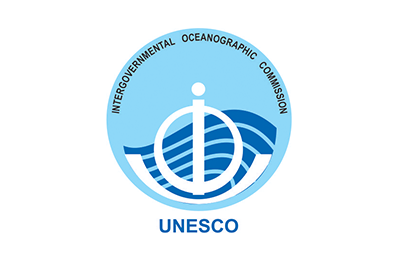 The main goal of the proposed project is to determine the responses of biological productivity and fisheries to changes in upwelling conditions associated with changes in atmospheric and oceanographic processes in the EACC shelf area of Kenya and Tanzania, and the corresponding vulnerability, resilience and adaptation options of the coastal fisheries dependent communities. The project is fully covered by the North Mara Gold Mines (ACACIA). TAFIRI-Mwanza offers technical assistance in terms of training the NYAKEGEMA members on fish pond construction and aquaculture management. Since the start of the project to present TAFIRI- Mwanza received some amount to cover supply of fish feeds, allowances, fish pond monitoring and management. The project is located at Nyamongo and the beneficiary of the project is the NYAKEGEMA Cooperative union. The members of the cooperative union are the young people who come from the villages surrounding the North Mara Gold mines and who were once invaders to the mining. The project began by conducting a one week training programme to the group in March 2014. Thereafter three fish ponds were constructed under our close supervision. A total of 15,750 tilapia (Oreochromis niloticus) were stocked in the three ponds of 1750 m2, each pond stocked with 5250 fish. The first pond (named as pond A) was stocked on 4th March 2015, the second (pond B)on 1st April 2015 and the third (pond C) on 27th May 2015 with average weight of 2.3g, 1.1g and 1.2g respectively. The last monitoring survey was conducted on 6th August 2015. We observed fast growth of fish in all the three ponds. In pond A we observed an increase in average weight from 2.3g to 309.09g. In pond B we observed an increase from average weight of 1.1g to 126.6 g. While in pond C we observed an increase in average weight from 1.2g to 96.7g. The project is aimed at eenhancing the adoption of fish farming technology as an alternative livelihood for the Mining community of North Mara. The project is aimed at transferring fish farming technology to the mining community to provide alternative livelihood. TAFIRI benefits from the project by obtaining data that can be used for scientific purposes like publication. Research is currently being undertaken once every month through collection and analysis of lake water samples as well as rain water samples at three catchment sites (Kigoma Bay, Malagarasi River and Luiche River). Twenty fish farmers from Ng�wakalima and Nyasoro villages in Misungwi and Rorya districts respectively, and four district fisheries officers from Misungwi and Rorya districts were trained on catfish production technology. A hatchery unit at Ng�wakalima village (Misungwi district) was completed and handled over to the Fish farmers through Misungwi District Council administration. The hatchery is operational and Fish farmers are producing catfish themselves. A hatchery unit at Nyasoro village (Rorya district) has been built during the reported period. However, funds are required to start in-house practical training and on-farm production of catfish fingerlings. The way forward is up scaling of artificial propagation technology by establishing another hatchery (including water system, hatchery unit infrastructures, and rearing ponds) for Kaliila Fish farmers group (Bukoba Rural District). The project aims to use samples to reconstruct the relationships of populations using molecular approaches, test for the presence of new species (using molecular, morphological and behavioural approaches) and to investigate key aspects of their ecology (distributions and diet). That means using molecular ecology to inform conservation of Tanzanian freshwater fishes. Two farmer groups (Ng�wakalima and Nyasoro) and their extension officers were trained on artificial propagation technology of catfish. Two hatcheries have been constructed for the groups to produce fingerlings on their own. Phase II of the Africa Award project was stimulated by phase I observations that the fish fauna of Tanzania is still very poorly known. 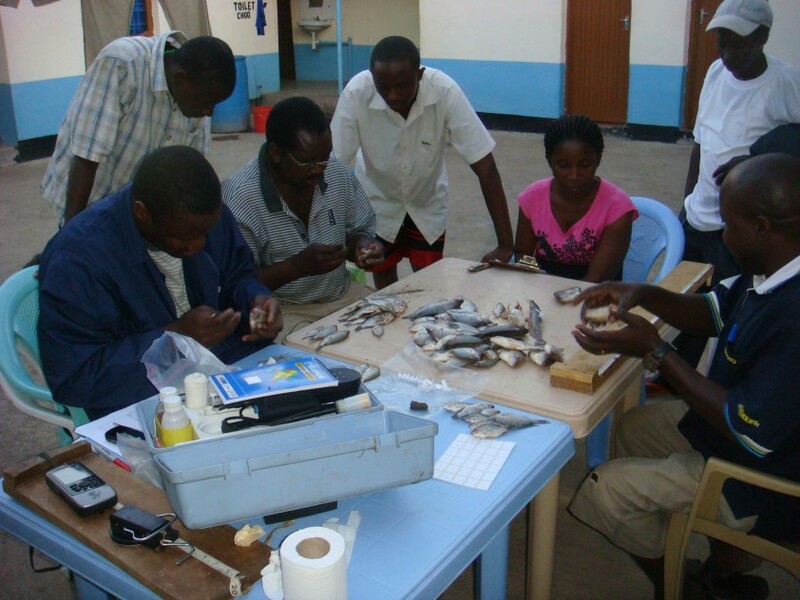 In this phase we are studying �Characterisation and conservation of tilapia fish diversity in Tanzania�. This new project will focus on mapping the distributions of the 31 species of Oreochromis found across Tanzania, of which 26 are native. We will aim to identify evolutionary significant units (and there is potential for discovery of new species). We will study the extent of hybridization, identify the suitable habitats of species in part to predict spread of non-native species, and use this information to put together an action plan to promote sustainable aquaculture in Tanzania. Our plan is to survey native and introduced tilapia resources of Tanzania in natural and artificial water bodies across the 10 catchments/water basins. Todate we have covered Lake Nyasa, Ruvuma, Ruaha, Wami, Ruvu and the coastal catchments. Although the main team in the Africa Award has been TAFIRI, the University of Bristol and Bangor University, the new project has brought in the University of Dar-es-Salaam, who provides the environment for the PhD training. Ms Asilatu Shechonge and Mr. Edmund Kajuni graduated with Master�s degrees from Bangor University during the first phase of the project. Ms Shechonge is now registered for a PhD at the University of Dar-es-Salaam funded under Phase II of the Royal Society-Leverhulme Trust Funds. During Phase I of the project, a workshop was held in Dar-es-Salaam whereby the results of the project (Phase I) were presented to key stakeholders provoking discussions on the future of biodiversity research and freshwater fish conservation in Tanzania. The Marine and Coastal Environment Management Project (MACEMP) was a six-year project, which commenced in July 2005, the official completion date was August 2011. Under MACEMP project TAFIRI was involved in implementation of component 1 (SOUND MANAGEMENT OF EEZ) Sub-component: (Science, Research and Monitoring). It is a three year project with the aim of conducting prawn stock assessment surveys in order to understand the status of prawn stocks and factors affecting the status. Moreover, the survey intends to investigate the effectiveness of the industrial prawn fishery closure which was imposed in 2007 to 2016 in the three major prawn fishing zones designated by the department of Fisheries Development and also defined in the Tanzania Prawn Fishery Management Plan (URT, 2012), which include, Bagamoyo (zone 1), Rufiji (zone 2) and Kilwa (zone 3). To achieve this both trawl and artisanal fishery surveys will be undertaken in the three fishing grounds and a parallel socio-economic study in the same areas. The socio -economic study will generate a profile and cost-benefit analysis of the artisanal and industrial prawn fisheries as well as fishery analysis of the community versus national benefits of the trawl and artisanal fisheries. The results of both the stock assessment and the socio-economic study will be able to provide the basis for recommending detailed management measures for both the industrial and artisanal prawn fisheries, as a contribution to future review of the Prawn Fishery Management Plan (URT, 2012). Proposal for implementing this research is completed. Funds are expected to be received in September 2017 and start immediately. Production of Catfish Fingerlings using Artificial Propagation for Poverty Reduction and Environmental Conservation in Lake Victoria Basin, Tanzania. 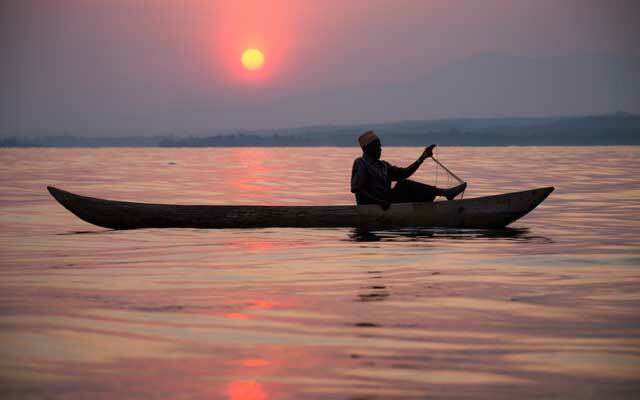 The study intends to contribute to poverty alleviation and habitat conservation in the Lake Victoria basin through catfish culture technology. Fish solar drying techniques evaluation and introduction to fisher communities, Lake Nyasa, Tanzania. 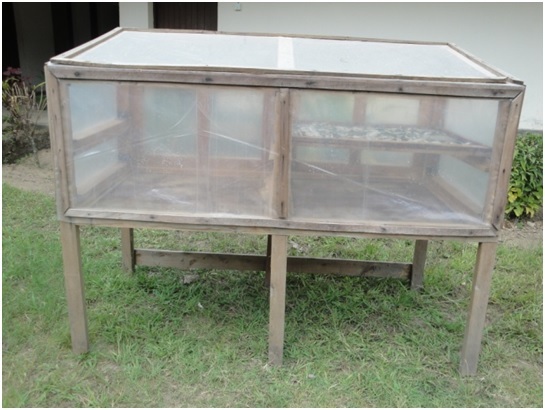 Four prototypes solar dryers suitable for drying small sized fish of Lake Nyasa have been designed and developed and their performance have been tested. The best performed dryer (tent prototype) has been introduced to fishers and processors at Matema and the rest of the fishing village in the coming last phase of the project. Chemical and nutritional composition of dried dagaa has been determined. This information will help in marketing Lake Nyasa Dagaa products. The project has purchased various research equipments that are expected to strengthen research capability beyond the project time. Capacity building to TAFIRI and local fisher�s communities has been done and the project will continue doing so in its last phase. Furthermore, participating TAFIRI researchers have received training on data collection and analysis, while a few selected researchers will take advanced course on data processing and analysis. Some local dagaa processors from Matema have participated in the project; they have gained knowledge from TAFIRI researchers ever since the start of the project. Scientific and technical reports will be published at the end of the project. A project television documentary has been produced in collaboration with Star Television, the documentary is expected to be aired in few weeks to come, this forms part of the project dissemination program. Further publication of project findings is expected to benefit not only the general public but also investors. 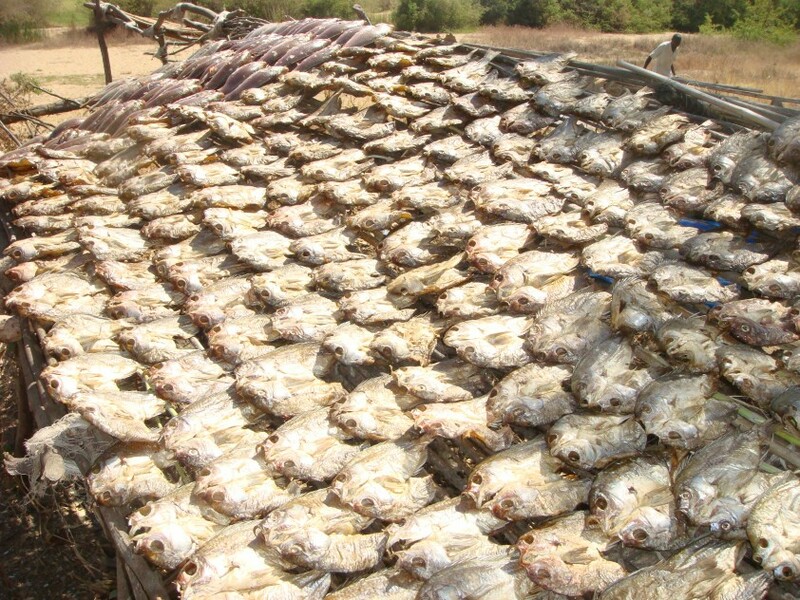 The study intends to assess the potential of using low cost solar dryer for drying fish along Lake Nyasa. TAFIRI Kigoma Centre is working with the Nature Conservancy through their flagship program in the Lake Tanganyika basin, the TNC Tuungane Project. 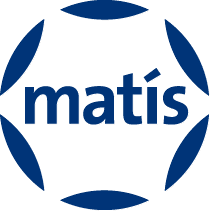 TAFIRI Kigoma is collaborating with MATIS Iceland to reduce greenhouse gases emissions and deforestation by advocating the use of energy efficient combined solar dryer and smoker for processing fishes in the lake thereby reducing post-harvest loss and adding value to the fish products. TAFIRI Kigoma is also collaborating with the Nanjing Institute of Geography and Limnology, Chinese Academy of Sciences (NIGLAS) to execute a lake water quality monitoring program. TAFIRI Kigoma Centre is currently collaborating with the University of Aarhus (Denmark), Illinois State University (USA), University of Dar es Salaam (Tanzania) and Enavigo Consult a/s (Denmark) in a project called CLEAT to monitor and profile climate impacts to the lake hydrodynamics and fisheries production. A total of nine experimental concrete tanks were successfully constructed at TAFIRI Dar es Salaam Centre. Three fish feed diets (Diet 1-fish meal and maize bran; 2-blood meal, maize bran, soy bean meal, sunflower cake and leucena and; 3- fish meal, blood meal, wheat bran and cotton seed cake) were formulated and used in on-site experiments where their performance in influencing Tilapia growth was assessed. Feeds 1 and 3 were found to perform better in terms of specific growth rates, yield, and daily weight gain. After on-site experiments, the results obtained were transferred to on-farm experiment in Arusha (Arusha and Arumeru Districts) and the results were similar to those observed at TAFIRI-Dar Centre where diet 1 performed better followed by diet 3. However, an economic analysis of the three diets revealed that diet 3 had the best profit index and benefit cost ratio (BCR) therefore deemed the most profitable feed. Other achievements include the training in Arusha on feed formulation, feeding, pond management, and data management, from 9-11 April, 2014. The training was successful and the participants (29) seemed to appreciate it since it was somewhat different from what they knew and did before this training. The water quality analysis for on farm experiment has not yet been completed. The third phase of this project will involve dissemination of results. Marine fisheries management is a complex process incorporating fisheries biology and stock status in..
Marine fisheries management is a complex process incorporating fisheries biology and stock status information, food web and predator/prey relationships, habitat needs, socioeconomic needs of recreational and commercial fishermen, and law enforcement issues. Understanding how all of these factors interact is a challenging task, even for experts in fisheries science and management. Biologists have long depended on a concept of species, whether clearly expressed or not. We could no.. Biologists have long depended on a concept of species, whether clearly expressed or not. We could not deal with the diversity of life and conduct comparative studies in biology unless we had some concept of the species; it is basic to all biology. The species is to the biologist as the chemical element is to the chemist. However, our unit is difficult to understand. It can differ over space and time. Seemingly, we can never hope to make the sort of predictions the chemist makes with elements. Nevertheless, although we have a slippery unit, we are dealing with an entity that in principle we assume behaves in a way that is subject to scientific study and explanation. One of the significant areas of current research is eutrophication. Special attention is paid to bio..
One of the significant areas of current research is eutrophication. Special attention is paid to biotic interactions in plankton assemblage including the microbial loop, the mechanism of influencing water blooms, phosphorus load and lake turnover. Another subject of research is the acidification of mountain lakes. Long-term studies are carried out on changes in the ionic composition of the water of rivers, lakes and reservoirs in connection with acid rain and fertilisation. One goal of current research is elucidation of the basic environmental functions of the ecosystem in reservoirs, which are important for water quality management. Traditional fishing arts have been developed over the years to adapt local conditions (such as the t.. Traditional fishing arts have been developed over the years to adapt local conditions (such as the type of coast and near shore areas), the species of fish desired, and the size targeted. The most successful fishing methods of a given region are those that have stood the test of time. The introduction of any new fishing technology always demands good national management and regulation. Vessels must also be matched with new methods or gear. As gear becomes more complex, it may require upgrading of vessels in size, power, and design. The site specificity of fishing arts should always be considered. Human activities (such as illegal fishing methods/gears, poor agricultural practices, mining, defore.. 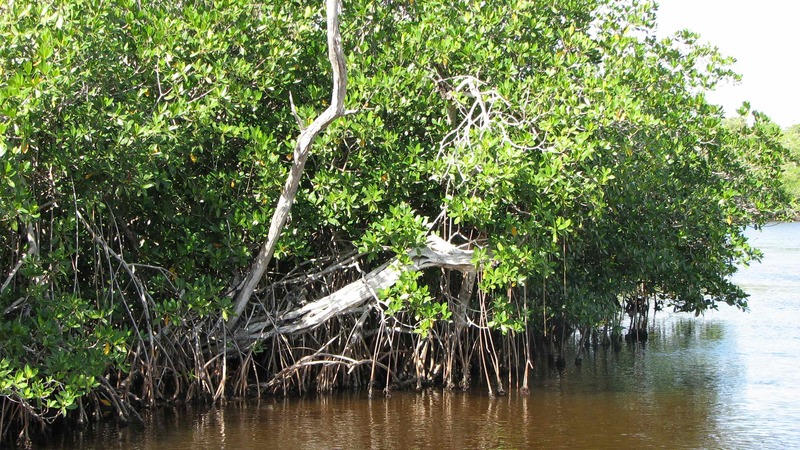 Climate change has significant impacts on aquatic ecosystems. It modifies biological, chemical and p.. Climate change has significant impacts on aquatic ecosystems. It modifies biological, chemical and physical conditions in the marine and freshwater, which affects the sustainability of human uses of aquatic resource. Consequently, research is needed for better understanding, detecting, and forecasting changes and providing scientific information for developing mitigation strategies. Capture fisheries resource are highly diverse and their sustainability depend on responsible managem.. Capture fisheries resource are highly diverse and their sustainability depend on responsible management decisions based on the best scientific information available. To arrive to the best scientific advice, a number of researches in the EEZ, territorial waters, rivers, large and small water bodies (including satellite lakes) are required. This encompasses the status of fish stocks which include their biology and ecology, exploitation patterns, gears and methods used. With increasing fishing pressure and declining fish catches in the wild stocks, attention is now tur..
With increasing fishing pressure and declining fish catches in the wild stocks, attention is now turned into developing aquaculture systems capable of meeting demand of growing human population. Therefore, there is a need to carry out research on the development of high efficiency and environmental friendly culture technology and identify new species that can be efficiently cultured. Fisheries management encompasses a number of socio-economic factors which impact the validity and ef.. Fisheries management encompasses a number of socio-economic factors which impact the validity and effectiveness of the best scientific advises. Consequently, understanding the socio-economic aspects of the fishery and how are linked to the overall policies and fisheries management measures is very essential. Also the contribution of fisheries in the national economy and food security is under reported due to inadequate socio-economic information and research. Sustainability of fisheries resource is influenced by socio-economic as well as politics. Welcome all to Tanzania Fisheries Research Institute's website.We have a vast array of interesting things for everybody. Scientific Writing @Mwanza Centre, Kigoma Centre, and Dar es Salaam Centre.